And the fruits and the flowers and the leaves of the trees. 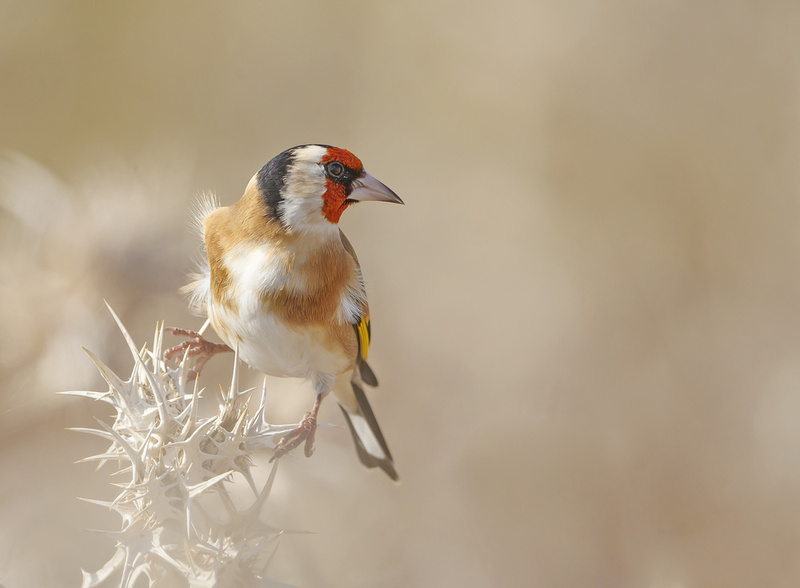 Insects feast on these grasses, fruits and leaves. 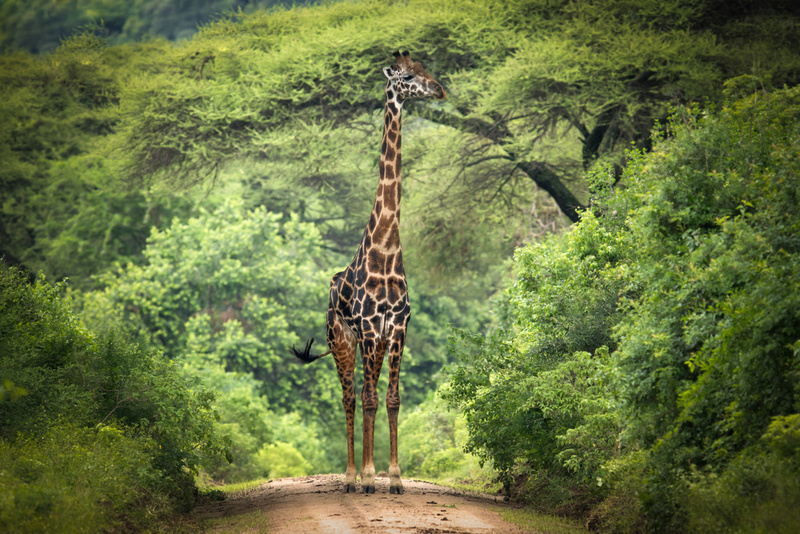 Large animals and birds do as well. 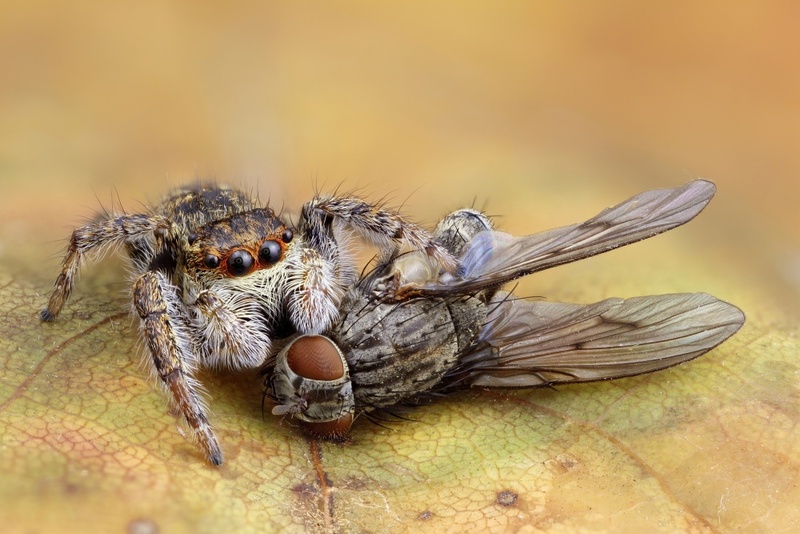 Other birds, fish and spiders eat the insects and are themselves eaten by bigger birds and bigger fish. 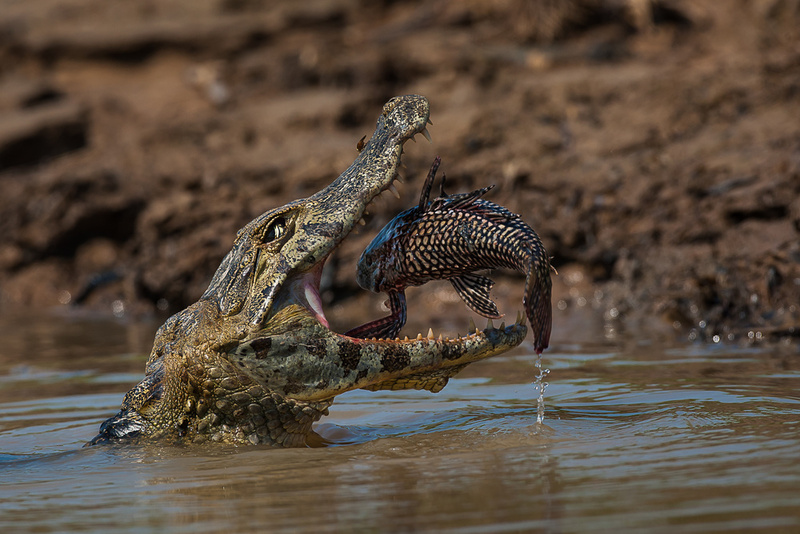 Jackal, mongooses, otters and crocodiles continue the feeding frenzy devouring birds, fish and even more sizeable animals. 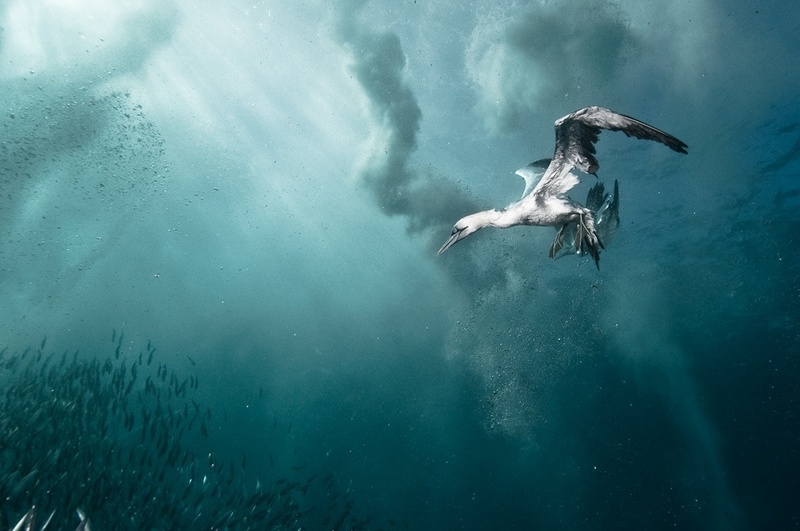 Heading the bird population, we have raptors that feed on smaller birds, mammals or fish, captured by means of soaring and swooping, ocean birds that feed by skimming the surface of water or diving beneath, and swallowing their prey whole. 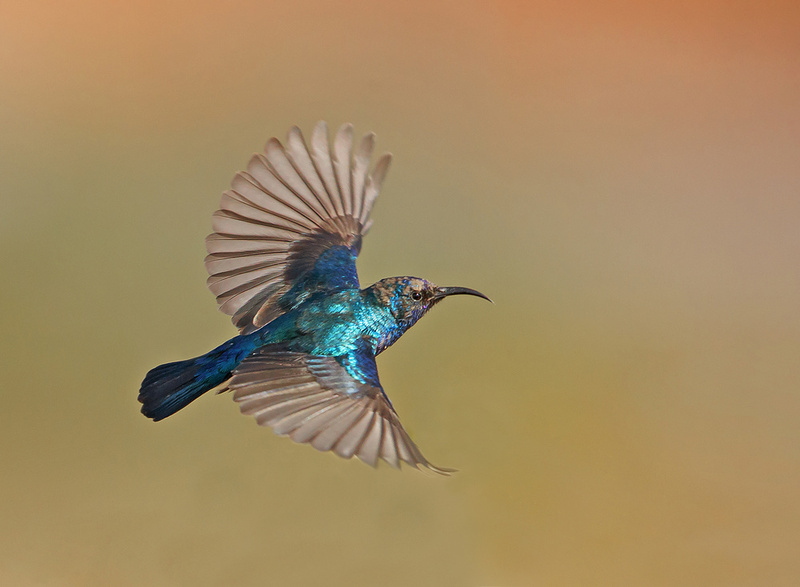 Then there are the Seedeaters and Nectar suckers with their iridescent colours, as well as Woodpeckers, armed with strong beaks and long tongues that enable them to reach insects hiding beneath the bark of trees. 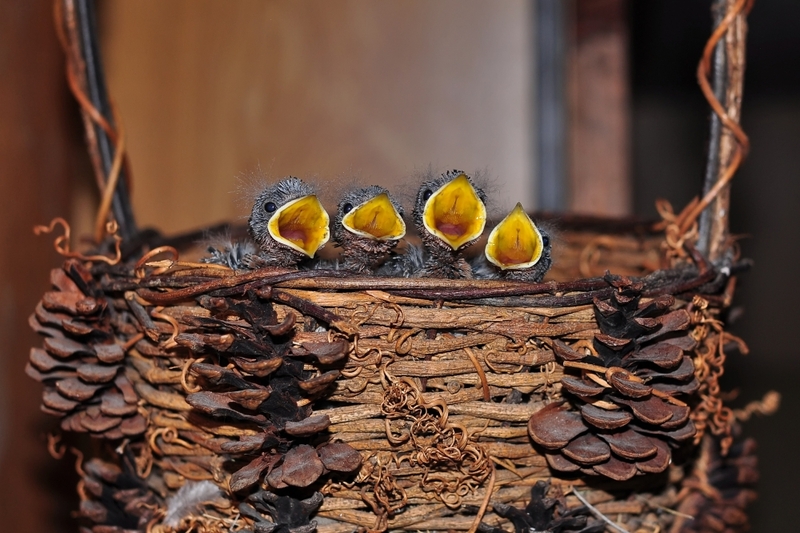 Many birds feed their young by regurgitating food that they have stored, either in the stomach or the crop, or by placing insects or mashed up pieces of food into the chicks’ beaks. 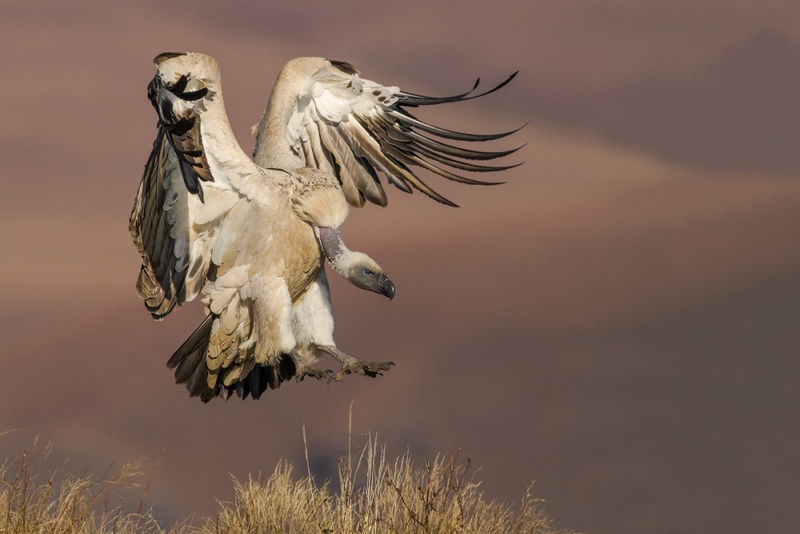 Vultures even add bits of bone into the contents of their crop whilst feeding themselves to provide essential calcium to their chicks for proper development of their skinny legs. 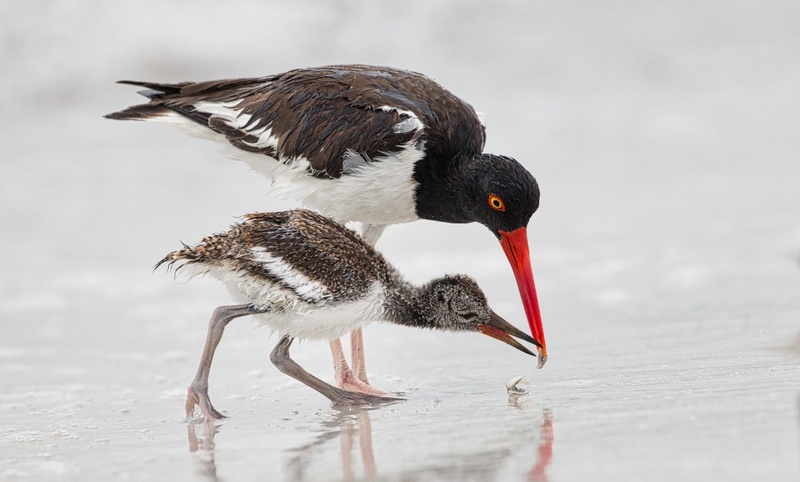 Once young birds have fledged, they need to be taught by the parents to fend for themselves. 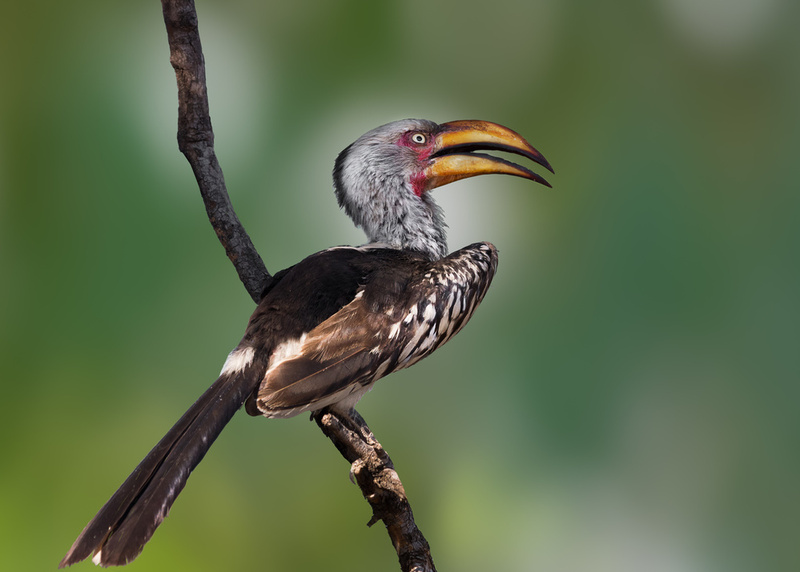 Before breeding, female Hornbills will incarcerate themselves into cavities in trees. 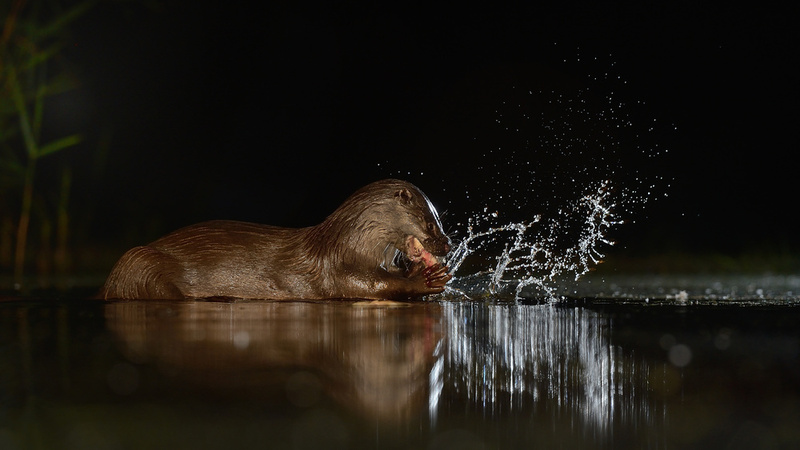 They seal the holes with mud and vegetation, leaving only a small gap through which their mates will feed them. 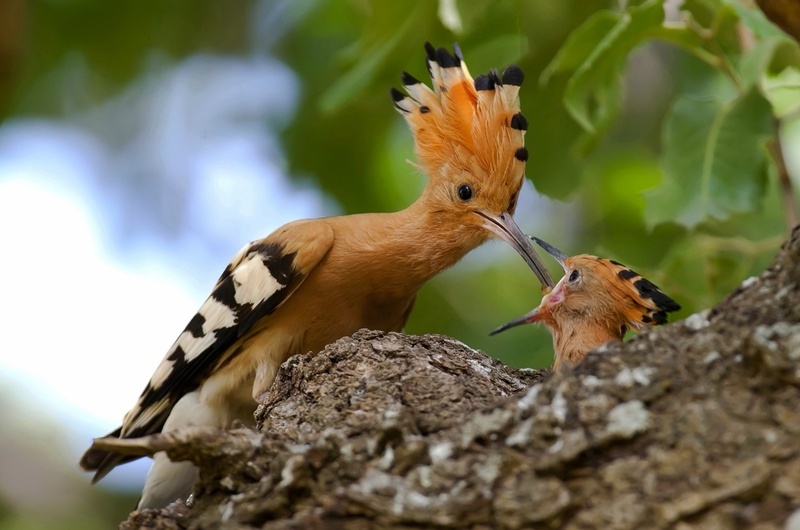 Once the chicks hatch, the mother breaks out, the hole is resealed, and both parents share in feeding of the chicks with insects, worms or fruit. 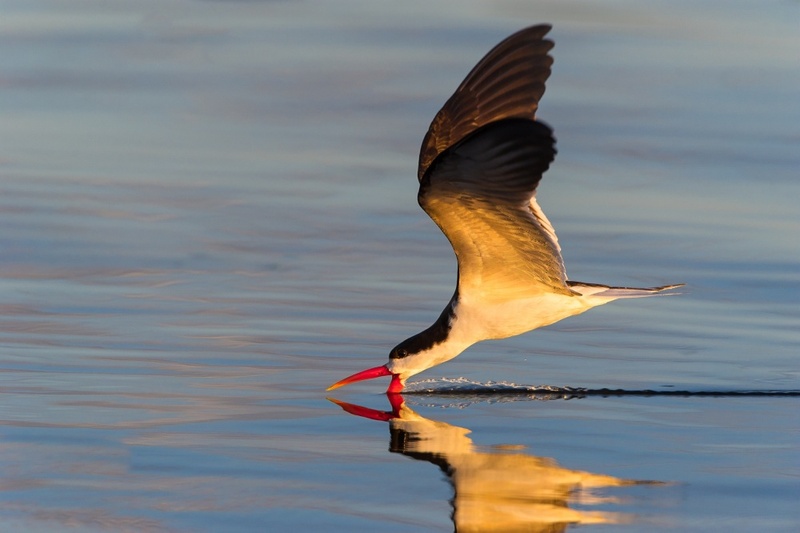 Some birds indulge in symbiotic relationships with other animals. 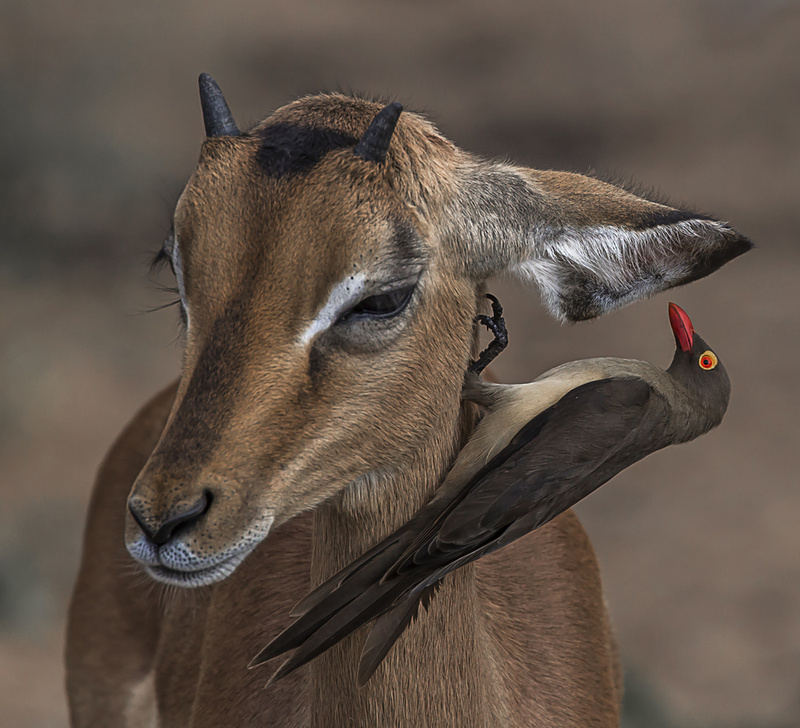 Red billed Oxpeckers, for example, feed off ticks and parasites on the skin of herbivores, benefiting from the nutrition, whilst the herbivores benefit by the lessened risk of disease caused by the parasites. 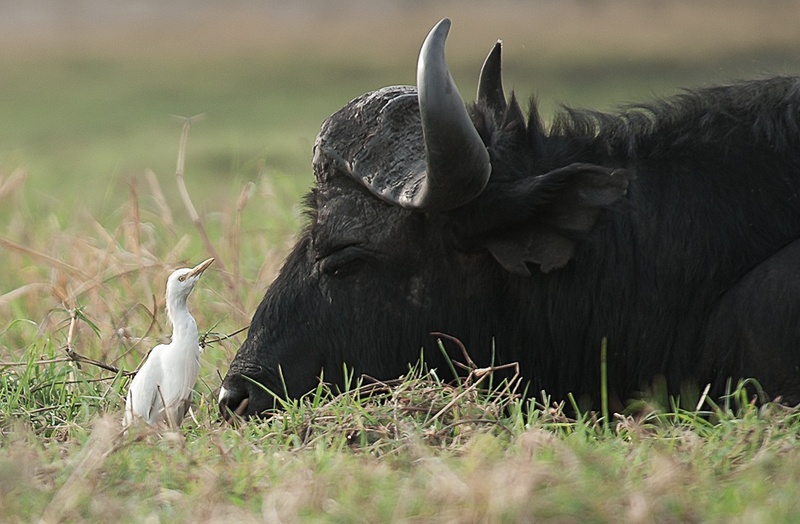 Cattle Egrets often follow Buffalo and other large herbivores, to gobble up grasshoppers stirred up by the grazing animals. 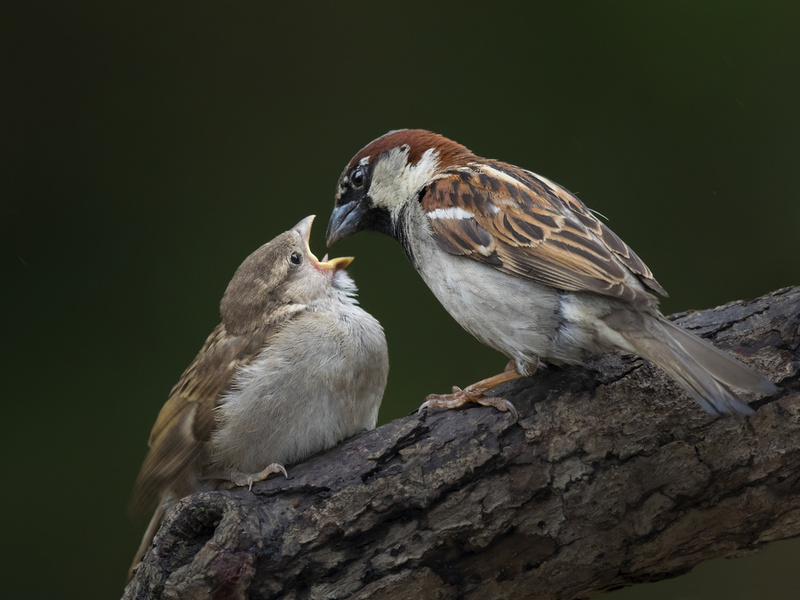 Herbivores may be categorised as grazers, browsers or mixed feeders. Amongst the grazers, there is a phenomenon known as facilitative grazing. 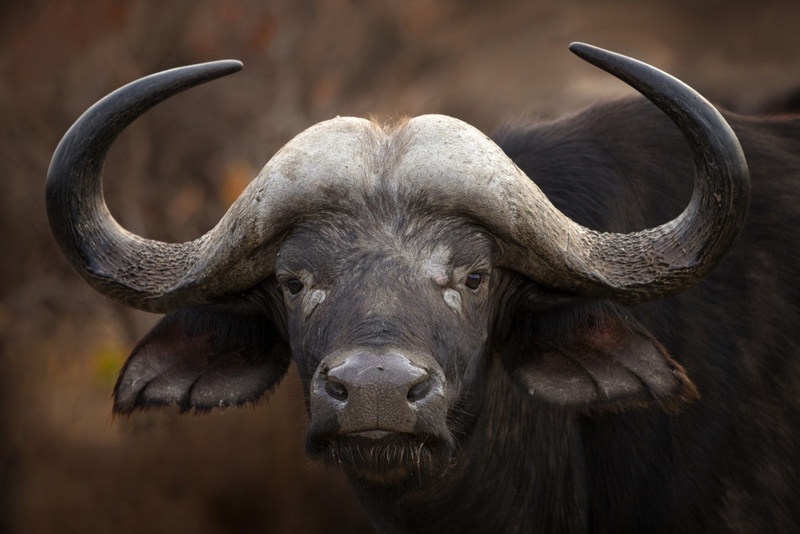 Buffalo, who can consume vast quantities of long fibrous grasses, open up areas of grazing for Zebras, who enjoy the harder bits of the longer grasses. 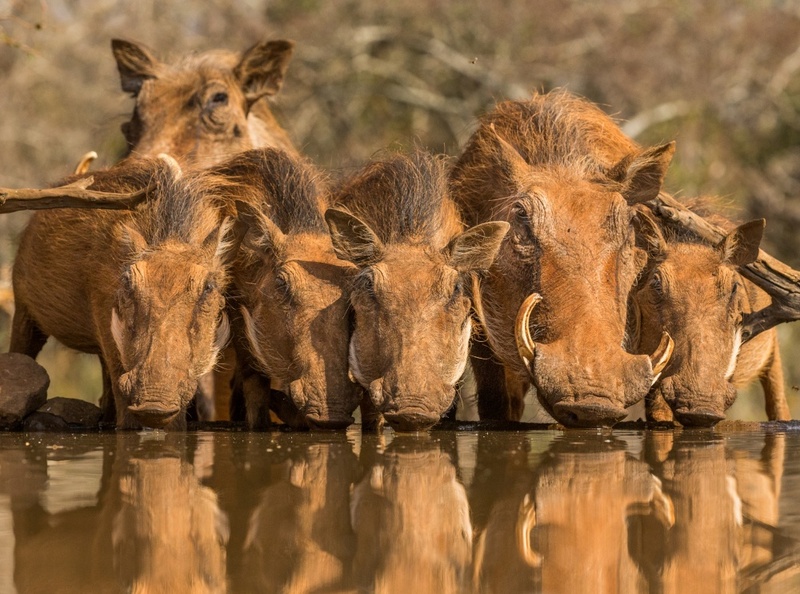 Wildebeest prefer the shorter, softer bits, paving the way for Impala to get right into the short bits that they enjoy down on ground level, as do Warthogs. 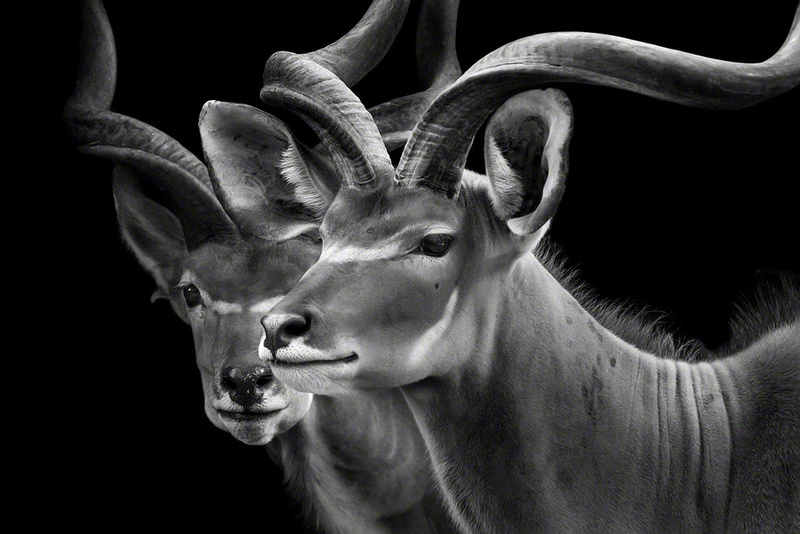 Impala are mixed feeders, and they mostly browse in the winter months when grasses are scarce. 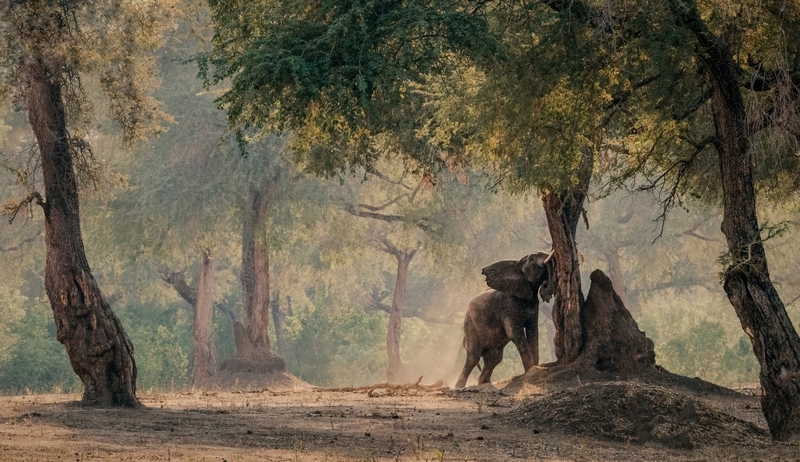 Elephants are also mixed feeders. In summer an Elephant can consume up to 250 kg of grass per day, most of which is recycled via its faeces, providing a feast for dung beetles. 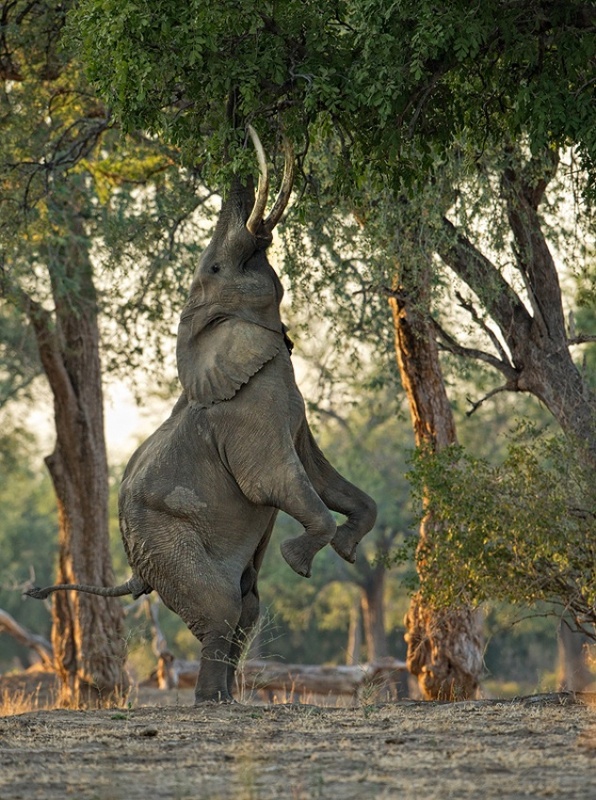 Elephants have the ability and strength to knock over tall trees so that they can reach the greenest leaves at the top. 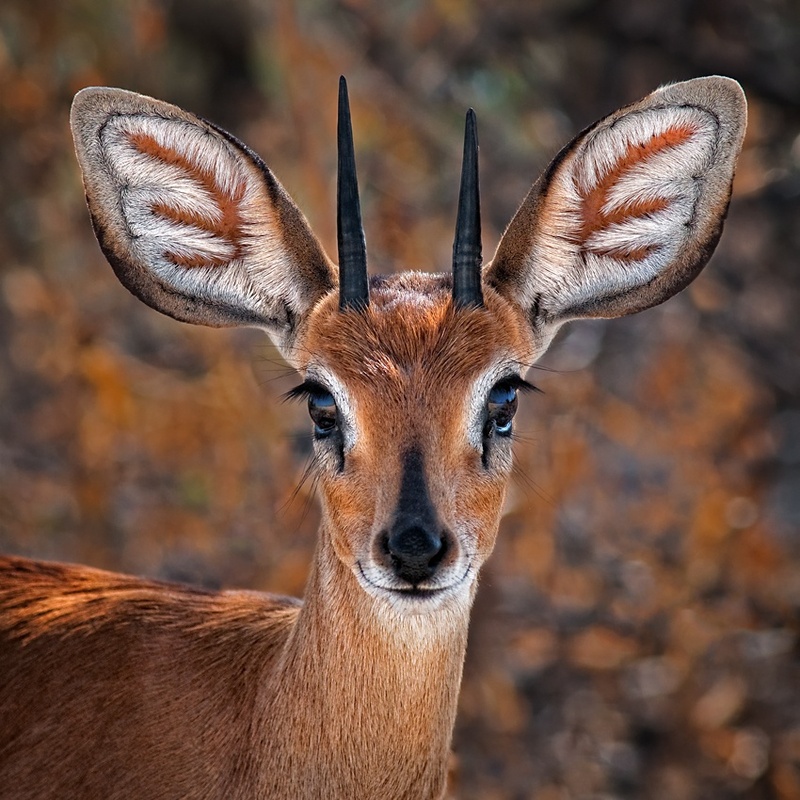 This also benefits smaller animals, like the Steenbok, who now can reach the sweeter leaves. 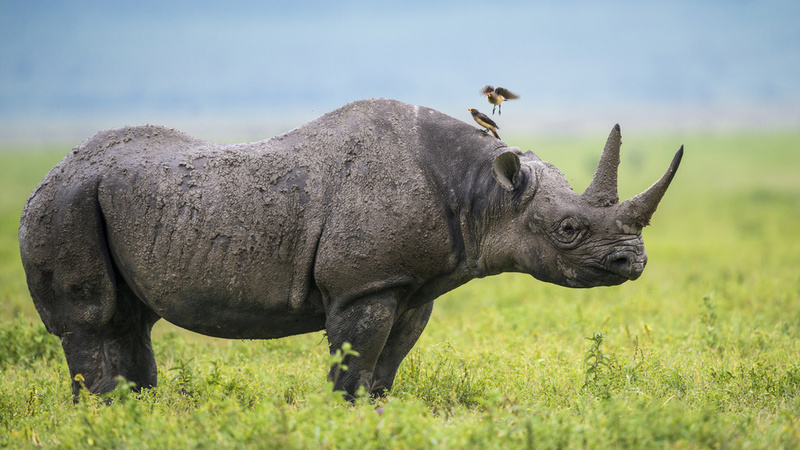 Another two of the herbivores, although appearing to be similar, have quite different feeding habits; the square-lipped White Rhino is a grazer, whilst the ill-tempered hook-lipped Black Rhino is a browser. 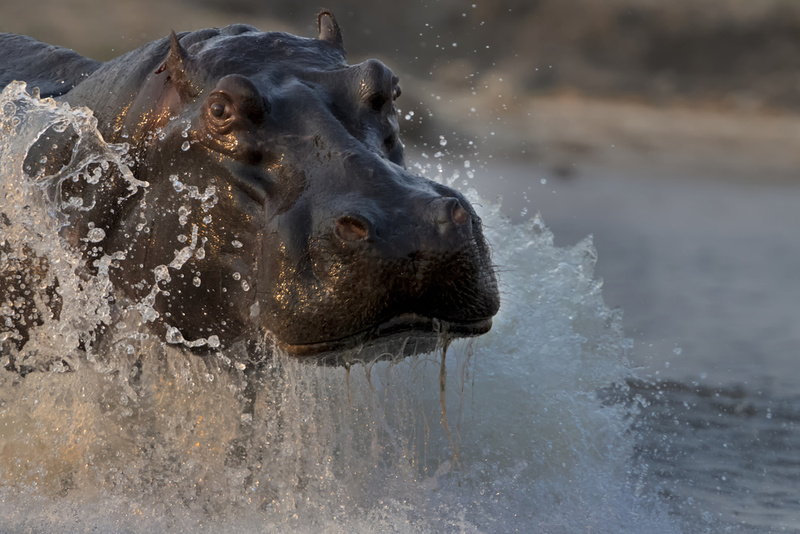 The Hippopotamus spends most of the day in water to conserve energy and to avoid sunburn, but grazes extensively at night. 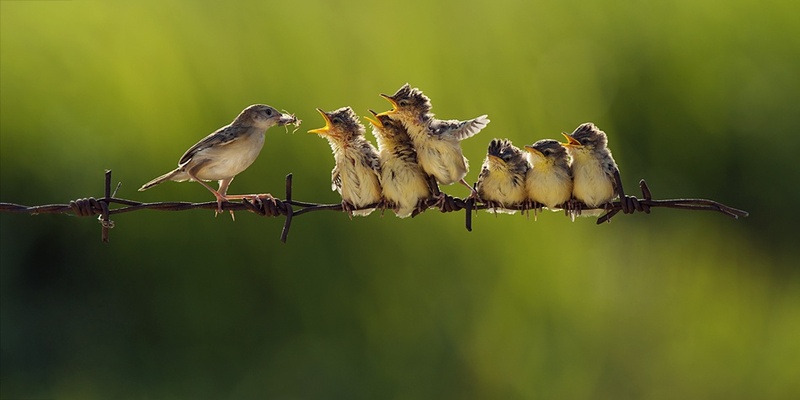 All these herbivores suckle their young from birth, either in isolation or in the open. 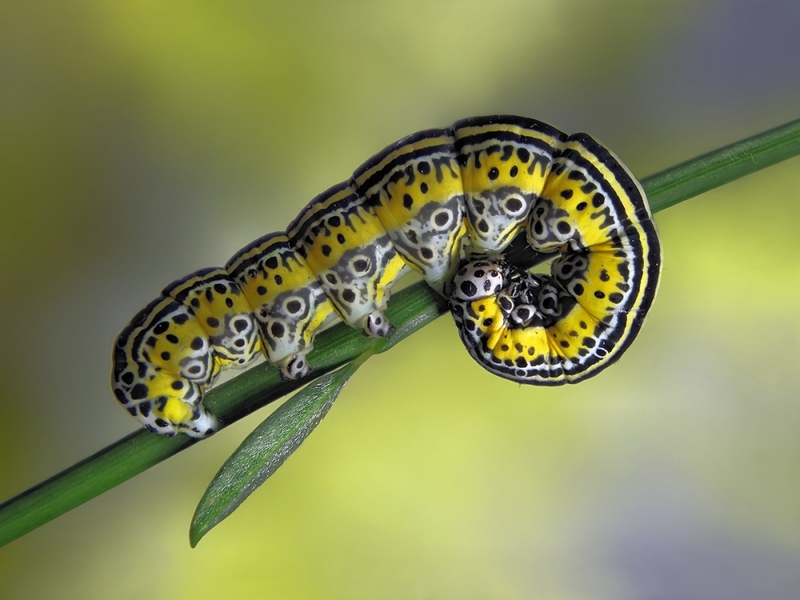 At the top of the food chain are the predators that prey on herbivores and anything else that moves. Lions are probably the most famous. 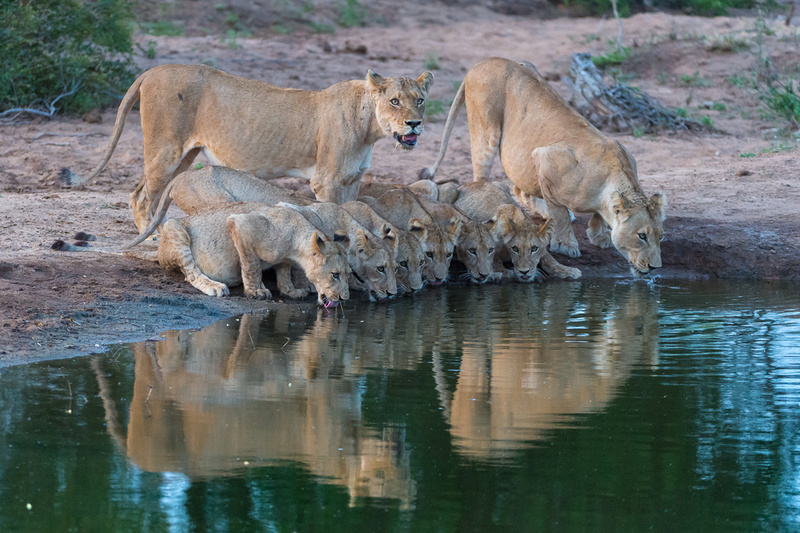 The family unit of the Lion is the pride, made up of females, their cubs, young males and a dominant male. 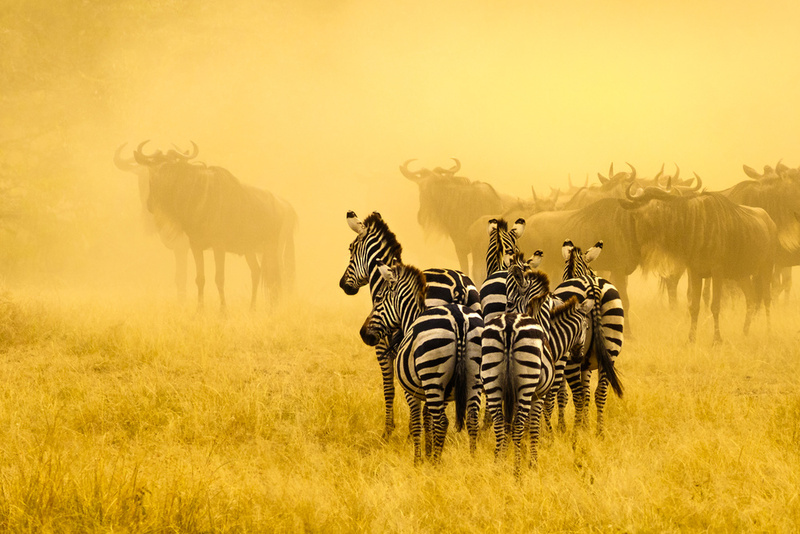 The females generally do the hunting collectively and the kill, preferably Buffalo, Zebra or Giraffe, is shared by the pride, with the dominant male getting first pick, and cubs the last. Mothers care for and suckle their own cubs, as well as those of other females in the pride, for 6 to 7 months before weaning. 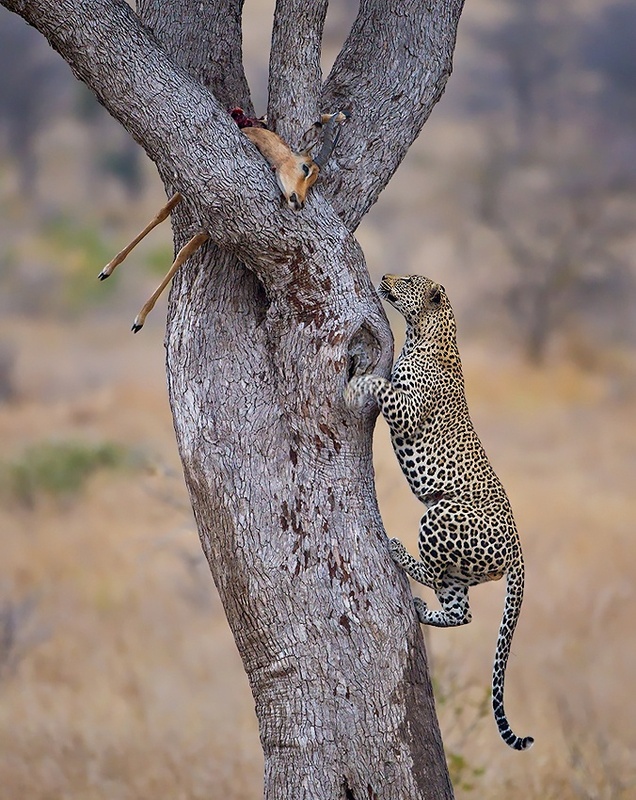 Leopards, on the other hand, are loners, each with their own territory. After mating, the female separates from the male and cares for the cubs on her own. 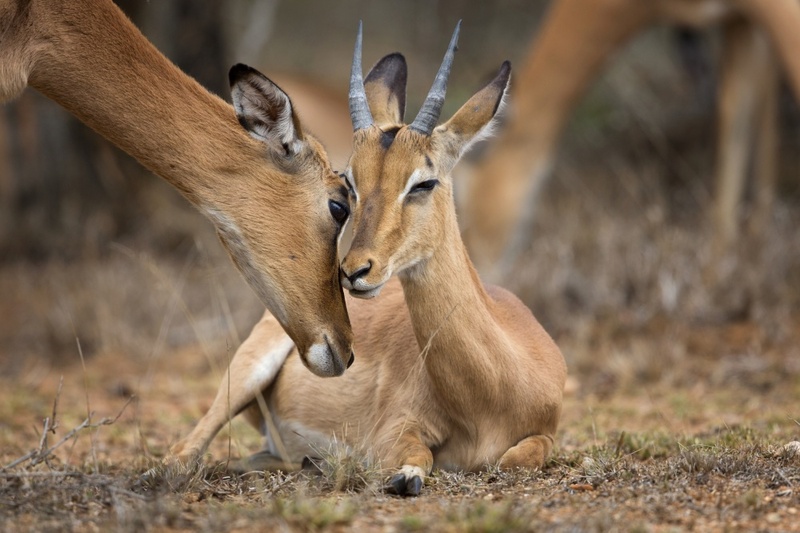 Favourite prey is Impala, and the catch is usually dragged up into a tree and lodged between branches to protect it from scavengers. 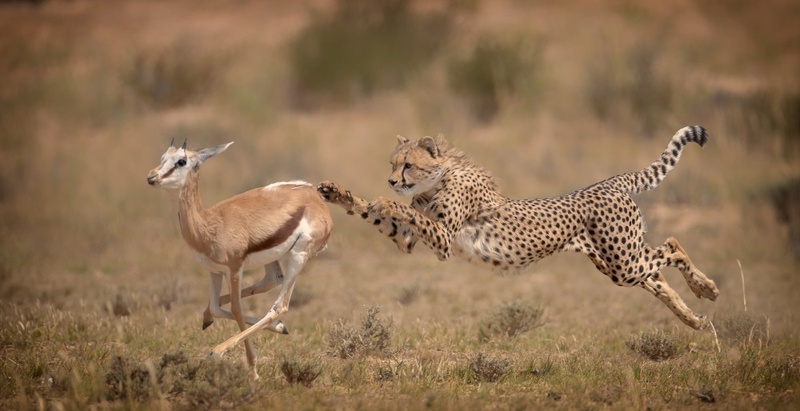 Cheetah females are also loners, using their tremendous speed to snag their prey. 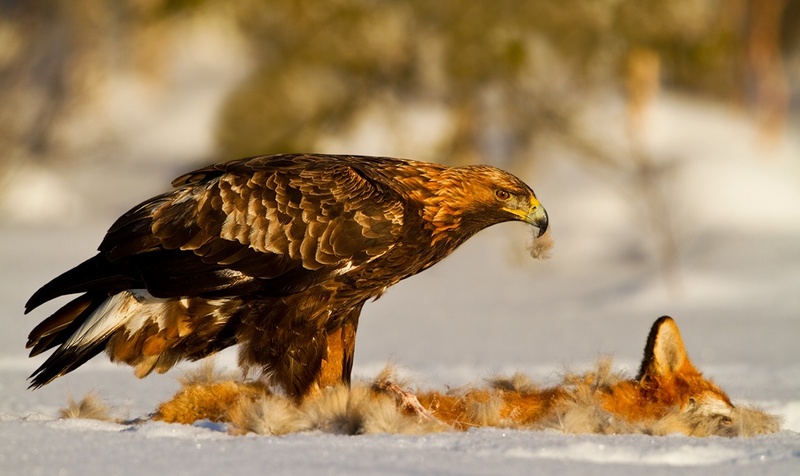 Because they are built for speed and are not physically strong, they need to eat quickly, starting with the soft underbelly of their kill, to eat sufficiently in case it is taken away by other predators or scavengers. After weaning, the cubs may be given small live prey to practise their hunting skills. Vicious packs of Wild Dog run down their prey until it is exhausted, and then they almost eat it alive. 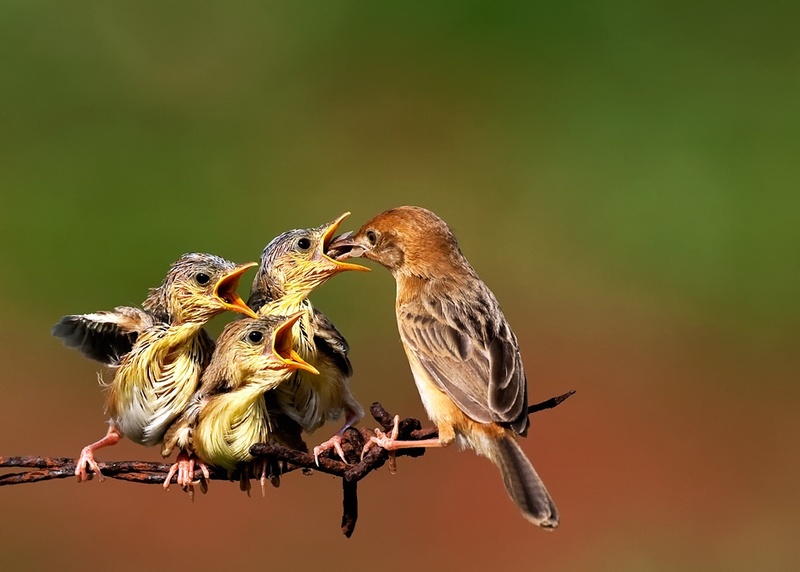 Feeding of the young pups is a communal affair, with all the hunters regurgitating meat on their return to the den. 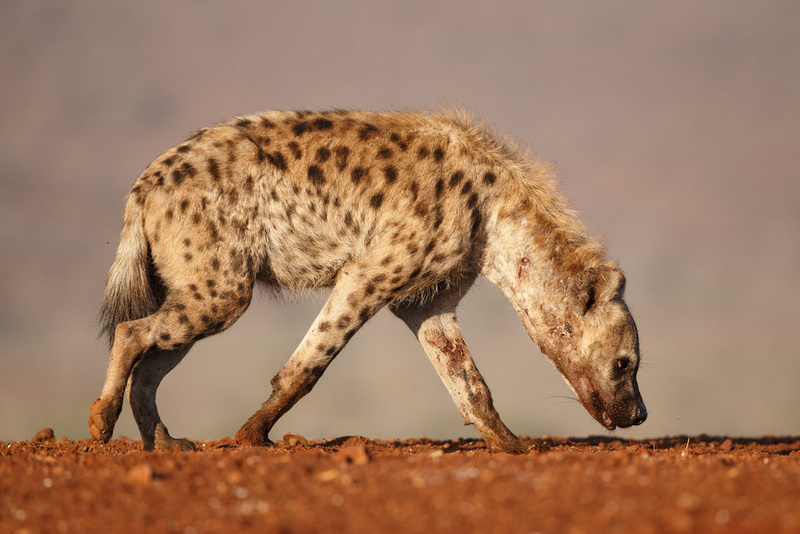 Finally, there are the scavengers – Vultures and Hyaenas that take care of cleaning up carcasses. Vultures tear at the meat and eat the innards, whilst the Hyaenas help themselves to juicy bits of meat, as well as the bones, leaving no evidence of the kill. 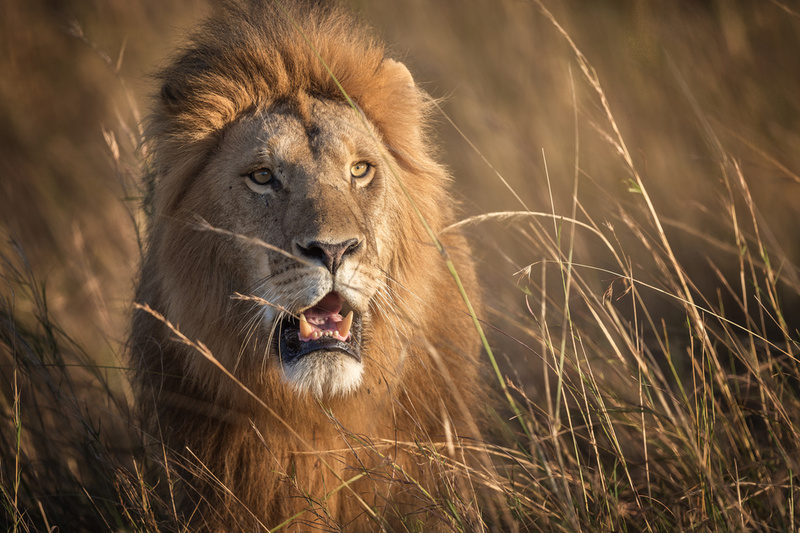 Even the majestic Lion, king of the jungle, must meet its own ignominious end, being pecked at and torn apart by these scavengers, whose metabolism returns calcium, nitrogen and other essential nutrients to the soil, fertilizing it to enable the growth of new grasses, flowers and trees. And so, the whole cycle starts over – the inevitable, unstoppable rhythm of nature.